The Episode starts with Rocky missing Chintu and wearing his gifted watch. He says don’t know if he has forgiven me. Simmi says he can never be angry on you, focus on deal. He hugs her. Sania asks the man to keep an eye on Happy and find out. Bhatia asks is everything according to plan. She says yes, I had never imagined that I will do this to do this to get Rocky back in my life, he is my friend, but Happy has interfered in our friendship, he doesn’t even talk to me. Rocky says I got the platform ticket. Happy says wow, really, why didn’t you book train ticket. They argue and blame each other. She says we have no time to fight, the meeting is imp for us, we can’t waste time. Happy says we can use technology, we will figure something out. She cries and asks TT to let her board the train, its imp to reach Delhi. TT says sorry, I can’t help. Happy says my husband, his family is dangerous, if I don’t reach there on time, they will never let me go Maayka. She cries and tells her sad story. Rocky looks at her. Rocky says don’t create a scene, everyone is watching. Happy asks TT to understand, what will she go through. TT scolds Rocky and says real men respect their wives. He says I can give you one ticket, you have to sit and travel. Happy says thanks for saving my life. She asks Rocky to pay him. Rocky pays the fare. Happy thanks TT and boards the train. Rocky says people were staring at you. Happy says so what, we got the ticket. A man informs Sania. Sania asks Bhatia to let her handle her deadly goons. He agrees. Happy tells about his Biji’s interference. Rocky says lets solve this today, I will forget my family and world, will you talk about love now. The train starts. Happy asks what are you doing. Rocky says see, no one is here, she doesn’t like me, she hates him. She says no, I like him. He says tell me the truth. The lady says your chemistry is great, you look cute while fighting, come on say I love you and hug him. Rocky says fine, I will say it again for you. He says I love you. The lady asks Happy to say it too. Happy says I love… I will be back. She goes to the train’s door. Rocky comes to her. He says you were acting so well so I thought to continue. She says we would have got exposed. He says I don’t know how married people behave. She says yes, even I m not married. She stops and recalls her marriage with Chintu. She cries. Rocky recalls Chintu and cries. He asks her not to get senti for 24 hour marriage. She says it was a marriage, Chintu married me and did a lot for me in those 24 hours, no one did that for me. He asks what problem do you have, you look okay, you will find a boy. She says I don’t need anyone. He asks why, you need to settle down, get married again, you won’t work all life, get married and have few kids, be happy with them. She asks him to think about himself. She says you will get married at least three to four times, you are mad, no girl can tolerate you. He says when I get married, I will the award of best husband. She says we will see. He says you will come to me and beg me to marry. She says better I jump off this train. She slips. He pulls her and asks why are you standing here, stay away from door. He says I want fresh air. He says you will never find a better man than Rocky. Happy recalls RV’s words and asks have you seen RV, he is a great man, he has a progressive thinking, learn from him. The goons try to kidnap Happy. Rocky and Happy rush to hide. The goon shoots at Happy. 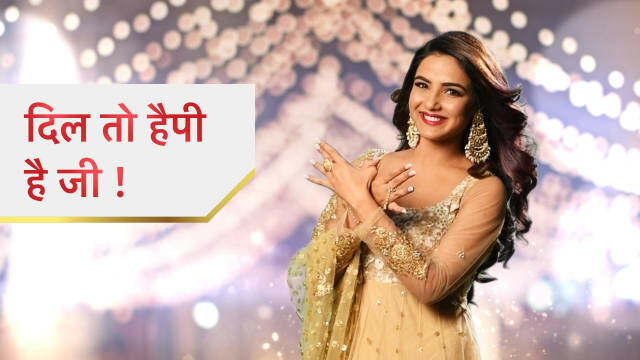 The post Dil Toh Happy Hai Ji 13th March 2019 Written Episode Update: Rocky confesses love to Happy appeared first on Telly Updates.